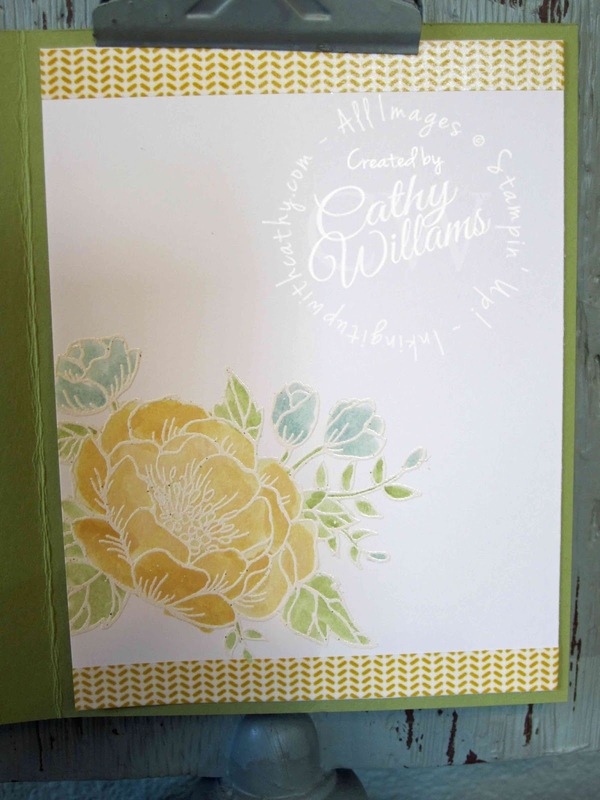 Inking It Up With Cathy: Birthday Blooms - So Glad You are Sticking Around! Birthday Blooms - So Glad You are Sticking Around! 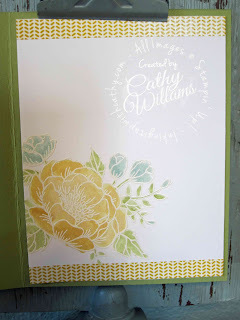 I love this stamp set and am so glad that Stampin' Up! decided to carry it forward into the new 2016-2017 Annual Catalog. 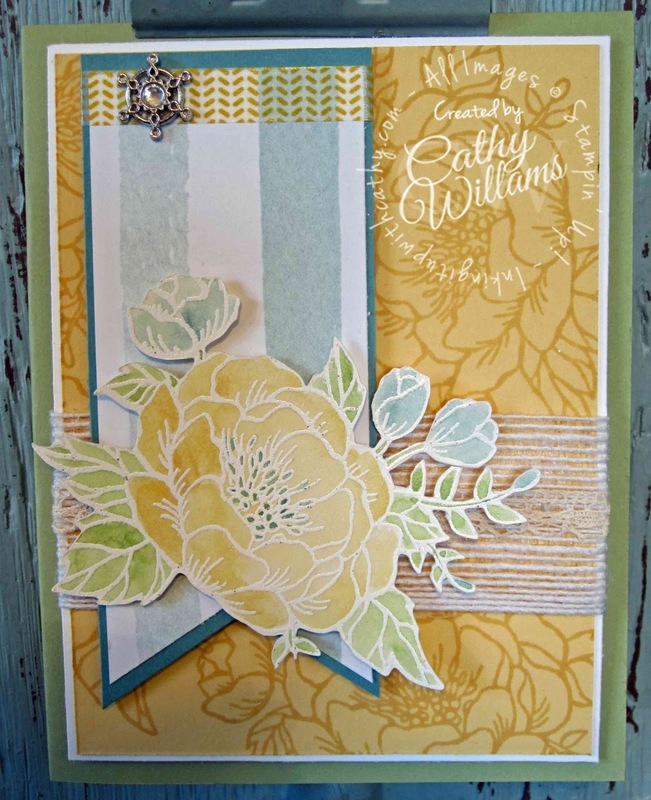 While the Lost Lagoon card stock and patterned paper are retired, this card certainly can be recreated with another color. 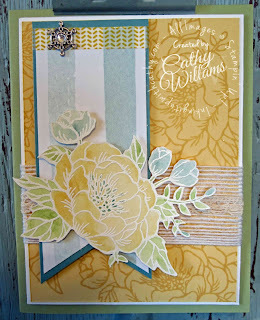 We embossed the image using White embossing powder and then colored it using an Aqua Painter and So Saffron, Pear Pizzazz and Lost Lagoon inks.